But the formula can always be improved upon. 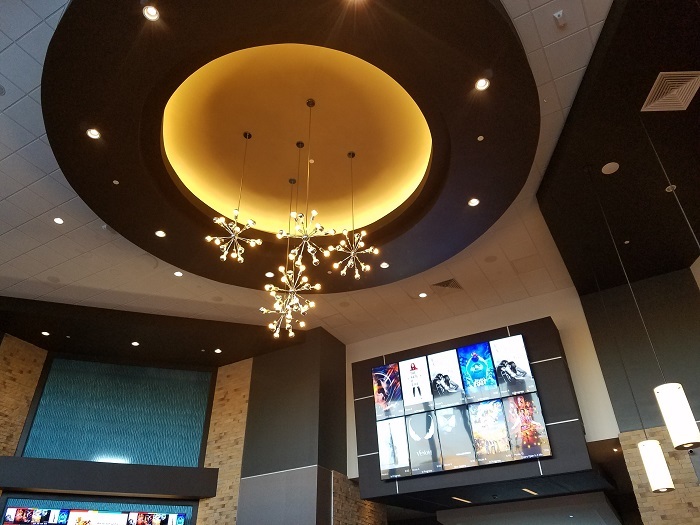 By combining the comforts of home with top-notch eats and a cinema experience that rivals the best in the industry, Moviehouse & Eatery is rapidly becoming Austin’s new go-to for a dine-in movie going experience. Note: The bites, drinks, and screening for this story were provided courtesy of Moviehouse & Eatery. I’ve been to screenings on my own dime before and since this article. All opinions are my own. Summer is half over – have you been keeping up with the summer filcks? Did you know that there is now an M&E in Southwest Austin? And we have a special summer menu? And happy hour? And brunch? Get over here! The recliners miss you. Moviehouse’s story is a deceptively simple tale of two people seeing a need and going full force to fill it. The theater’s owners and founders started as real estate people. Twenty years ago, the pair met during an opposing business deal and, impressed by each other’s acumen, decided to start working together. Upon purchasing the Trails development on Route 620 and moving to the area, they discovered a lack of entertainment options. Rather than look elsewhere, they decided to open a movie theater with their own specific vision. In 2012, with no prior theater or restaurant experience, the entrepreneurs unveiled Moviehouse & Eatery’s first location. Since then, they’ve expanded to five locations (two in Austin, three in DFW) with more in the works. An awesome example of two people diving into a sea of uncertainly head first without a pair of swimmies. Gone are the days of squeaky popcorn, hot dogs under heat lamps, and gallon size sodas. Most theaters in town have abandoned that model in favor of dine-in eating, and Moviehouse is no exception. With a varied menu of well worn classics and upscale options, fans can experience the big screen without sacrificing their taste buds. 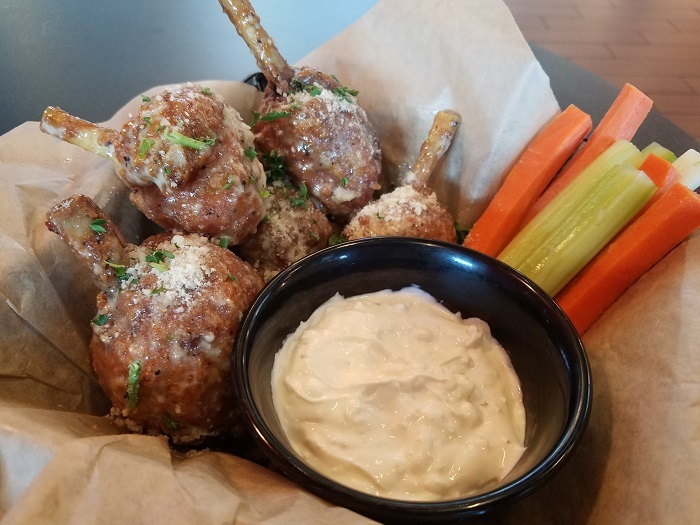 A perfect example of the balance between speed and savory are Moviehouse’s dynamite Fried Lollipops. Rich and juicy, these French-cut chicken drumsticks can be seasoned in four different ways. Mine were tossed in a sweet and sharp garlic and Parmesan blend. Combining them with a generous helping of blue cheese dressing, I was in finger food heaven. For those looking for something a bit more pinkies up, Moviehouse offers a delicious Asian bowl (grilled chicken, mushrooms, and veggies with a soy chili dressing) and lobster tacos. And I’d be remiss if I didn’t mention the Brussels sprouts app can hang with anything you’ll find in a high-end restaurant. And then there are the mainstays. Pizzas, burgers, and salads make up the balance of the menu. 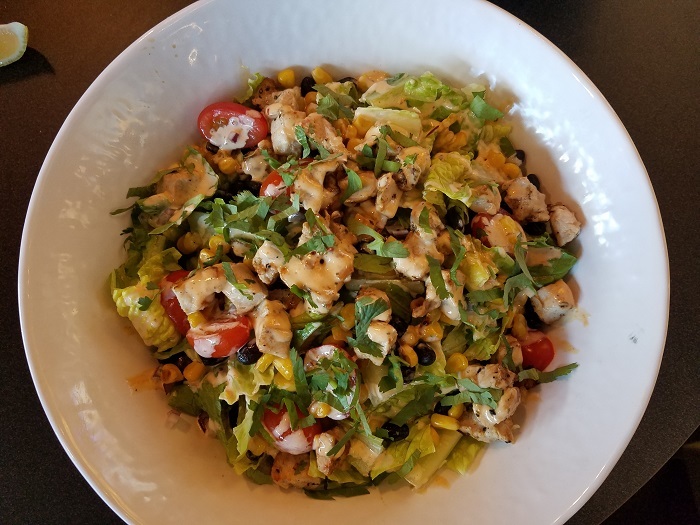 If you asked me to pick a favorite, I’d recommend the roasted Brussels and goat cheese pizza, Southwest bowl, and rock star farmhouse burger. White cheddar, bacon, avocado, and a pesto aioli spice up a juicy patty, all crowned with a decadently creamy sunny side up egg. So messy, but so worth it. Thirsty? Moviehouse features a full bar with all the mixins. While a fine selection of beer and wine is available, cocktails reign supreme. From a lovely cucumber strawberry mojito to a bright and refreshing ginger mint (Bombay Sapphire gin, ginger lime syrup, mint, soda), Moviehouse has all the boxes checked. My top two cocktails would be the sidecar and a surprisingly solid old fashioned. Old fashioneds are my bartender litmus test. 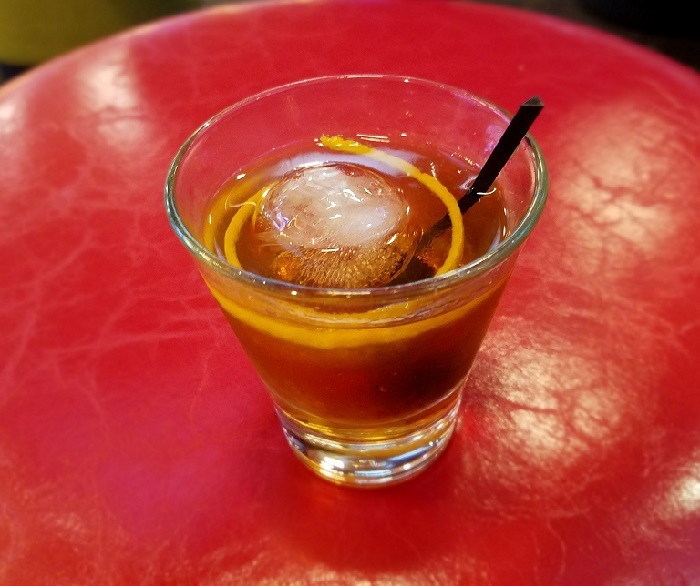 Moviehouse’s take utilizes Rittenhouse rye to give the cocktail a hint of dryness, paired nicely with the standard orange, cherry, and bitters mix. If this were my local bartender, I’d be coming back for seconds. 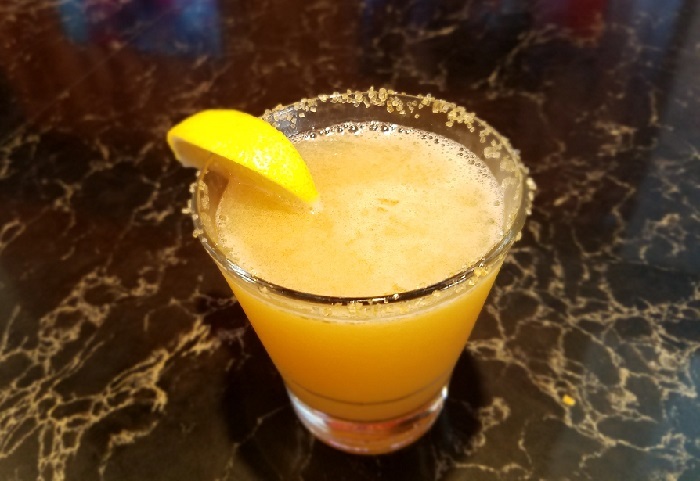 The sidecar is an out and out winner. Deceptively simple, the cocktail’s semi-sweet Bulleit bourbon base blends nicely with splashes of citrus, from the Grand Marnier and lemon. Refreshing, clean, and super smooth, this is one of the finest drinks I’ve had in a movie theater setting. And the bar menu loves to keep it local. Moviehouse tries to source local whenever possible. Both Dripping Springs vodka and Tequila 512 are heavily featured on the menu, giving the cocktails a decidedly ATX feel. With all of the food and drink on offer, you may forget there’s a movie playing! Before typing words for The Austinot, I spent many moons as a film critic. At least once a week, I’d find myself in a theater, so I like to think I know a thing or two about the cinematic experience. Simply put, catching a flick at Moviehouse is extraordinary. The theater’s keystone are the luxurious reclining chairs. More than once, after a particularly long night with a restless two-year-old, I’ve found myself snoozing in a Moviehouse seat. Instead of order cards, each chair has a call button to summon a member of the phenomenal staff. Once the call button is pressed, a timer starts in the service area. Servers instantly know who’s been waiting the longest and rush to handle that order. The result is the best response time I’ve ever experienced in a dine-in movie theater. Service with a smile comes second nature to the Moviehouse team and is the high point of every visit. And in the end, that’s what separates Moviehouse & Eatery from the growing world of dine-in movie theaters. 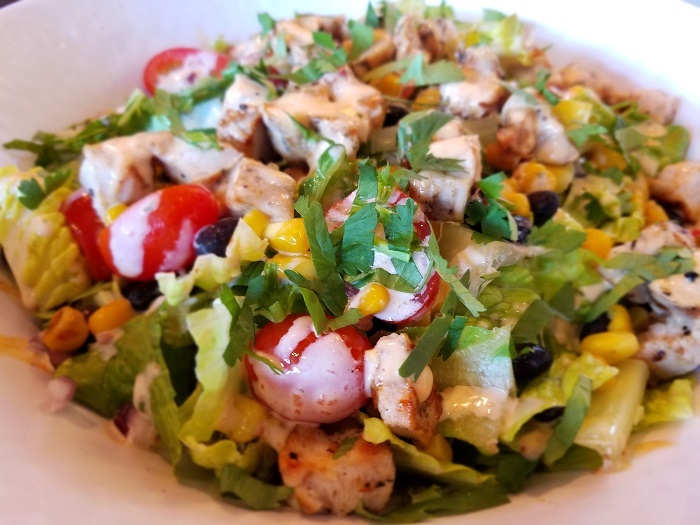 With a focus on quick-to-table, yet high quality food and beverage in a family-friendly atmosphere, this upstart Austin theater chain has carved out a unique niche in the local entertainment scene. The next time you’re tempted to zone out on the couch for a night of Hulu, grab some pals and head to Moviehouse & Eatery for a pint, bite, and flick. You won’t be sorry. For more information on Moviehouse & Eatery, including locations, movie times, and menu, go to themoviehouse.com. Where do you go for a night at the movies in Austin?